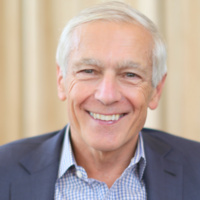 Pacific welcomes Gen. Wesley Clark, a retired four-star general after 38 years in the United States Army, as the guest speaker for the 2019 Gerber Lecture. Clark graduated first in his class at West Point and completed degrees in philosophy, politics and economics at Oxford University (BA and MA) as a Rhodes scholar. While serving in Vietnam, he commanded an infantry company in combat, where he was severely wounded. He later commanded at the battalion, brigade and division level, and served in a number of significant staff positions, including service as the Director of Strategic Plans and Policy (J-5). He was the principal author of both the US National Military Strategy and Joint Vision 2010, prescribing U.S. warfighting for full-spectrum dominance. He also participated with Ambassador Richard Holbrooke in the Dayton Peace Process, and helped write and negotiate significant portions of the 1995 Dayton Peace Agreement. In his last assignment as Supreme Allied Commander Europe, he led NATO forces to victory in Operation Allied Force, a 78-day air campaign, backed by ground invasion planning and a diplomatic process, saving 1.5 million Albanians from ethnic cleansing. His awards include the Presidential Medal of Freedom, Defense Distinguished Service Medal (five awards), Silver Star, bronze star, purple heart, honorary knighthoods from the British and Dutch governments, and numerous other awards from other governments, including the award of Commander of the Legion of Honor (France). He has also been awarded the Department of State Distinguished Service Award and numerous civilian honors for his civic contributions. He is active in energy, including oil and gas, biofuels, electric power and batteries, finance and security. During his business career, he has served as an advisor, consultant or board member of over 90 private and publicly traded companies. The Gerber Lecture Series was founded in 2001 with a generous endowment from David and Laraine Gerber to the School of International Studies. The lectures always focus on international topics. Past speakers include Archbishop Desmond Tutu, former president of Ireland Mary Robinson, Nobel Peace Prize winner Dr. Shirin Ebadi, former prime minister of Norway Dr. Gro Bruntland, former president of Columbia Cesar Gaviria, and former president of Mexico Vicente Fox. Enjoyed it but relatively few students and faculty it seemed. It was very informative and so worth my time. I am very happy that I attended and was able to meet General Clark.